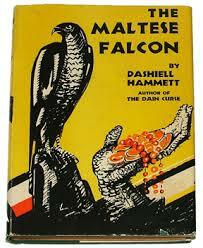 The Maltese Falcon….The Mother of Noir Classics! 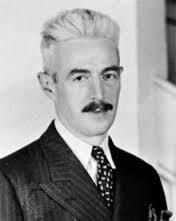 The Maltese falcon is a 1929 detective novel by Dashiell Hammett, who is known as the author of ‘Hard Boiled’ detective novels. 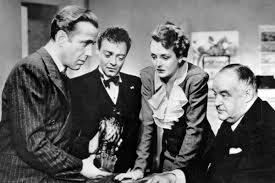 Hammett to his credit has created some well -known characters like Nick and Nora Charles (The Thin Man) and Sam Spade, our very own detached, unemotional, tough detective from the Maltese Falcon. The story starts with a Ms. Wonderly hiring the services of Sam Spade and Miles Archer to follow a man called Thursby, who her sister has eloped with. She tells them Thursby is dangerous and she is scared for the well-being of her sister. She pays them quite a lot of money and hence Archer decides to take on the job of shadowing Thursby and is killed along with Thursby. The police suspect Spade of killing Thursby to avenge for his partner’s death. Spade on the other hand comes to know that his client has vanished from the hotel that she was staying in. While he does not reveal the identity of the client to the police, he suspects that the work that Ms. Wonderly had hired him for was for something far more dangerous than an elopement. In the meanwhile other characters also show up like Joel Cairo, who comes to Spade with an offer of $5000 for a Black Falcon figurine, then suddenly pulls a gun on him saying that he wants to search his office as he suspects he has the Falcon. Through his earlier conversation with Ms. Wonderly who turns out to be Brigid O’Shaughnessy, he realizes that she and Cairo are connected. When he arranges a meeting between Brigid and Cairo, he comes to know of a ‘G’ who he realizes has a man named Wilmer shadowing him. Still in the dark about what the Falcon is all about, he confronts Wilmer with a message for ‘G’. When ‘G’ or Gutman, realizes Spade knows about him, he asks Spade to meet him. Spade misleads Gutmen into believing that he might know where the Falcon is and thus makes him reveal the story behind the Falcon, which is a bejeweled antique figurine worth millions.And while Spade is trying to tie the loose ends, Captain Jacobi lands at his office, shot and bleeding with a brown package. Spade eventually is able to not only solve the mystery of the Falcon but also finds out the murderer of his partner Archer. This Classic Noir is a treat to read, it is extremely fast paced, packed with lots of action and baffles you till the end as you realize almost everybody is lying here. 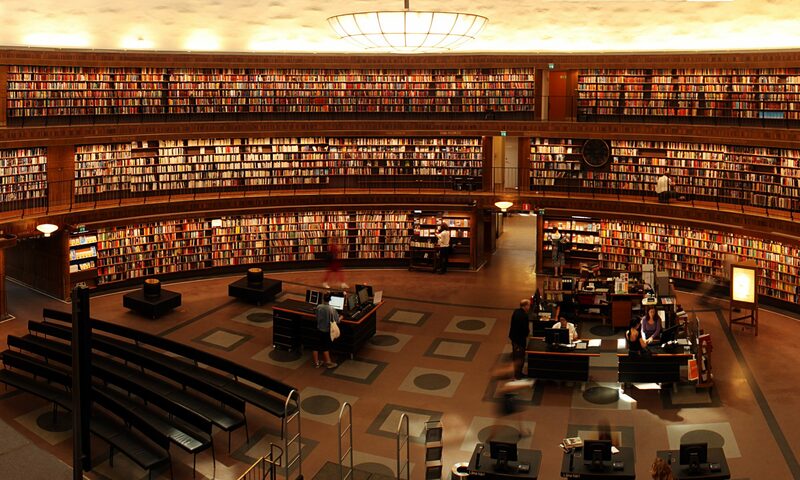 Till the last page, you keep wondering if there is going to be another twist. The greatest asset of the book is Hammett’s detailed descriptions. He describes his characters so well, the way they look, the way they talk, the way they walk, every change in their facial expression and movements, you feel like a movie is unfolding in front of you. Hammett conveys what his characters are thinking or seeing or about to do without using the usual he saw, he wondered, they thought. The story in itself is full of twists and you can never guess the ending. Hammett through his book has created some memorable characters. We have Brigid O’Shaughnessy, a greedy, hardened criminal and a deft liar, who uses her beauty to mislead Spade and others. Be it Joel Cairo, Tom Polhaus, Dundy, Gutmen or Wilmer, Hammett creates characters that you will remember distinctly. Greedy, jealous, untrustworthy, they would go to any extent to get their way. And then of course is our Sam Spade, the epitome of the touch detective. The detached, cold, greedy and able investigator who has a way with women. Nothing skips his eye and nothing deters him from achieving what he has set out for. His description of Spade is so vivid and that you almost picture him rolling his cigarrete. And amongst all these evil-to-the-bone-men, you have the loyal, trusting Effie Perine, Spade’s secretary, who is also his conscience keeper. Do I recommend this book? Absolutely, it is the Mother of all detective novels and Hammette’s style of writing with his vivid description is nothing less than a treat to watch..Oops..I mean read! Previous PostPrevious English August….very Indian, very English! Next PostNext Trigger Warning…Dark and Beautiful.